Joseph McGurl, American (1958 -). Joseph McGurl was born in 1958, in Needham, and raised in Quincy, Massachusetts. He was educated at the Museum of Fine Arts, Boston; the Massachusetts College of Art (B.F.A. ); the University of London Summer Program; the Boston University Summer Program in Florence; and privately with leading Boston School artist Robert Cormier. 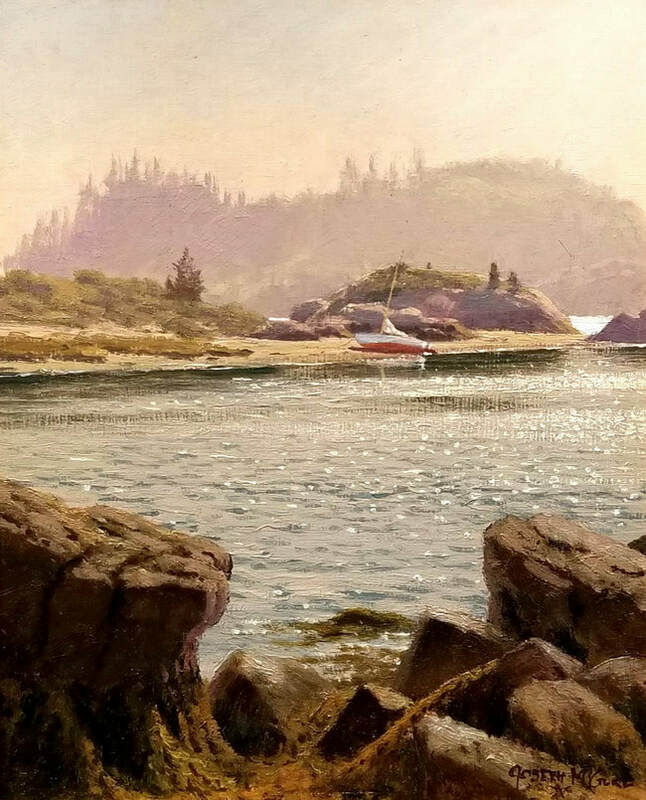 He has won the John Singleton Copley Award from the Copley Society of Boston; and the Grumbacher Gold Medallion from the Guild of Boston Artists. He was one of the Forbes American Artists Abroad group, and has been recently featured in American Artist; in Art Ideas; in M. Stephen Doherty's book, Creative Oil Painting; in Driscoll and Skolnick, The Artist and the American Landscape; and in Harris and Lyon, Art of the State: Massachusetts.